Central Florida’s strong economic development and rapid population growth is increasing traffic on the region’s highway and arterial roads. The Florida Department of Transportation (FDOT) District 5 Regional Traffic Management Center (RTMC) needed to improve communication between agencies managing highway and arterial roads, and also inform the public and the media about efforts to improve traffic congestion and keep people and goods moving on Central Florida roadways. 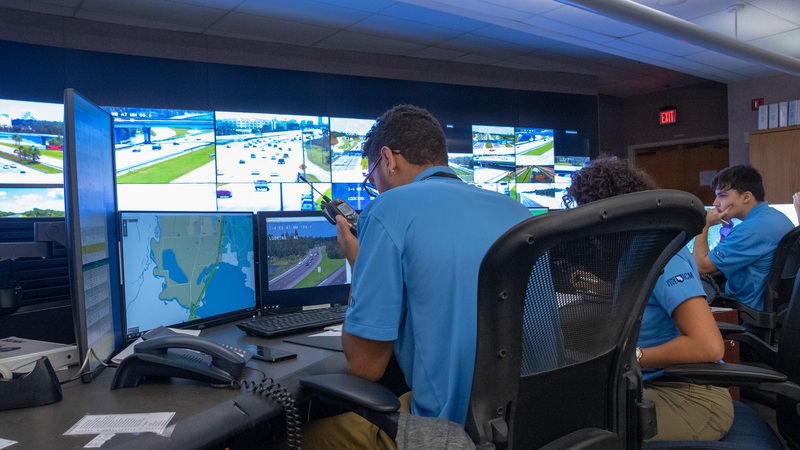 Global-5 embedded a communications specialist in FDOT’s District 5 RTMC to support implementation of the state’s first Integrated Corridor Management (ICM) program designed to maximize existing resources for providing travelers in Central Florida with the safest, most informed driving experience. Using social media to follow local news organizations, Global-5 increased the likelihood of identifying traffic incidents and timely access to incident updates and images. Global-5 wrote news releases for senior transportation officials to distribute to the media, and authored articles for the FDOT District 5 RTMC’s monthly report disseminated to transportation agencies and engineers throughout the state. Global-5 helped District 5 create a new partnership with the Girl Scouts of Citrus County and develop a comprehensive Car Care badge. Additional new community awareness programs include promoting workforce development in the traffic engineering field, encouraging safe driving practices and developing outreach materials for teaching emergency roadside procedures such as how to change a tire, check vehicle fluids and jump start a vehicle.